Here at JCRacingonline.com we specialize in the powersports industry as well as automotive. We have over 25 years of experience. 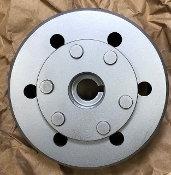 Flywheel lightening is one of our specialties and we offer CNC Lathe Y Axis capabilities as well. 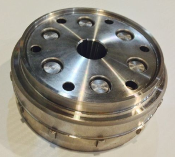 CNC prototyping is available as well as full production capability of a wide variety of parts. If you are interested in a quote please use the contact us page and we will get back with you as soon as possible. We can work off of simple sketches to full designed drawings. Feel free to use the contact us page to send any questions you may have regarding our products and services. Copyright © 2013-2019 JC Racing. All rights reserved.